Home Free IPL IPL 5 Watch Live IPL 5: Watch Free Live Steaming. IPL 5: Watch Free Live Steaming. 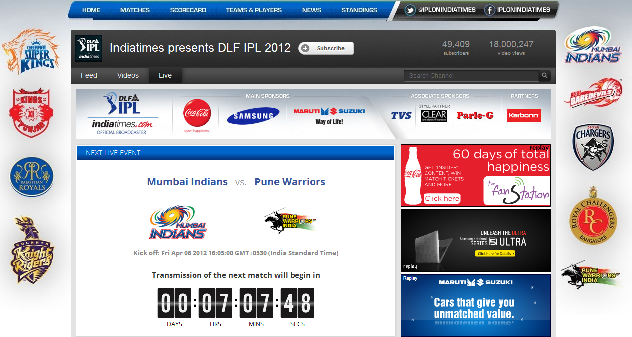 Just in case you are a great Indian Premier League fan and are in office then you can actually watch live IPL matches. Yes its possible and official that you can watch IPL matches on your computer. All you have to do is visit Youtube link. BCCI has found new ways of exposing IPL to its audience and also found cool ways of earning money as well. But who cares as long as everything is for free.